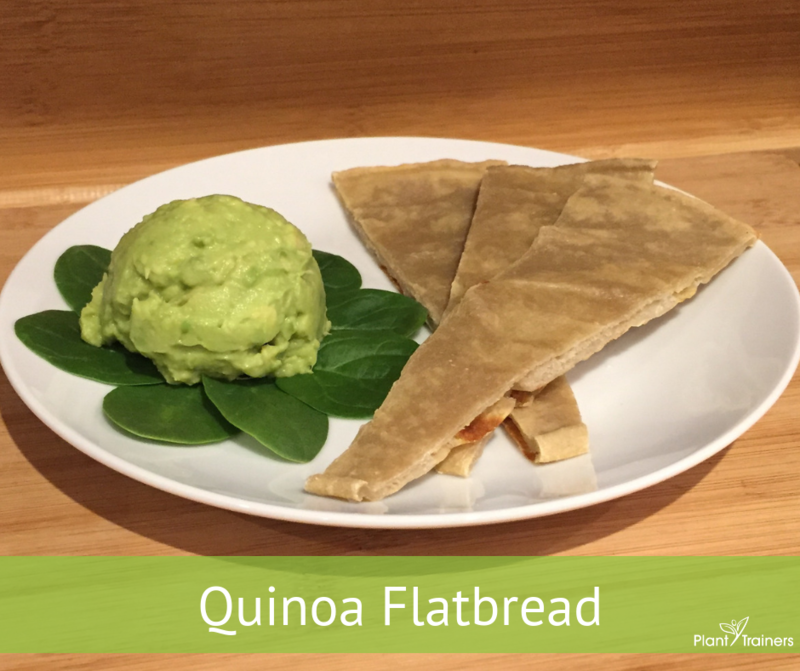 This quinoa flatbread is simple to make and a big hit! Easy is the name of the game. But more often than not easy ends up being…well…not always the healthiest. That is what we are trying to avoid here with our flatbread. Making this flatbread not only uses 2 ingredients, but it can be used for so many different types of meals. You can try making personalized pizzas, open-faced falafel sandwiches, as a side for curry, bruschetta, or a great cracker or bread substitute for any delicious dip you may make. One of the best parts is that it does not take a lot of babysitting so you can get all your other prep work and cooking done while it’s making. For a hungry family of 4 consider doubling it. But we like making single recipes the first round to make sure we like it and get it right. This can be really fun to make and a great recipe for the kids to get involved in!